Nyonya (Nyonya Mee Siam & Ayam Pongteh) and Acar (Aam ka Achaar & Penang Acar) and Fish (Indonesian Grilled Fish & Malaysian Fish Head Curry). Like a rhyme and rhythm especially for me and I just so somewhat love sour notes. Whichever and however, sourness is something I can't give up no matter what (Cambodian Sour Fish Soup) and this Nyonya Acar Fish? A splatter on our taste buds. In fact, can rekindle your appetite and of course you need a plate of rice. 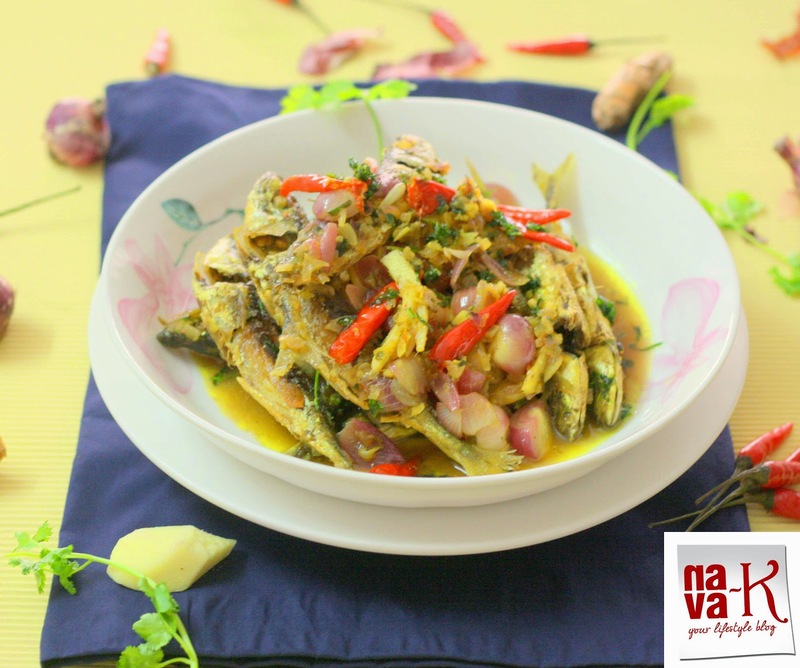 Nyonya Acar Fish made from the quintessential and like must have ingredients for Nyonya cooking or even for our other savory dishes, made ahead and stored in the fridge and the next course of action of course is tucking in during your daily meals. 10 sardine fish (or other firm fish) - de-gut and keep the head intact. Fry shallots, ginger and chillies, 2-3 mins. Pour vinegar, add sugar and salt. Let it simmer to thicken. 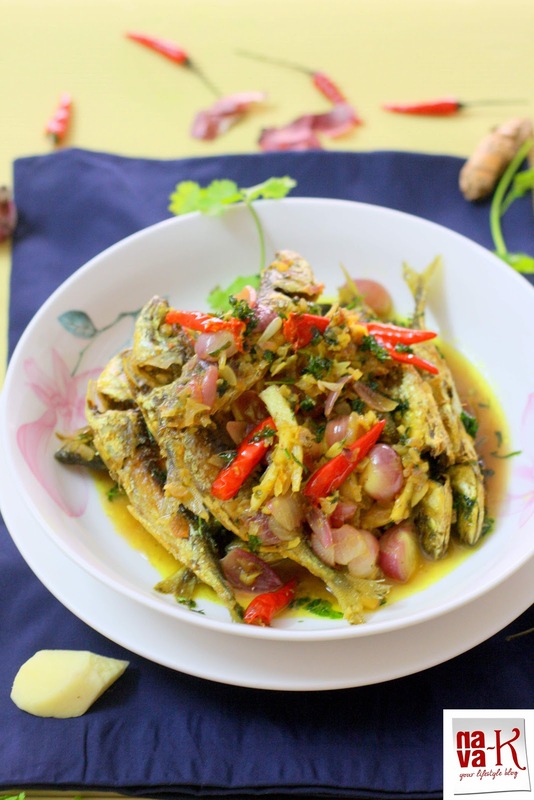 Add fish with fried shallots, ginger and chillies. Off the heat and combine coriander leaves. Leave achar in the pan for at least an hour before serving. i just love those red chilies in your dishes, it gives extra kick and nice color contrast too. can't find that here. love the whole platter. 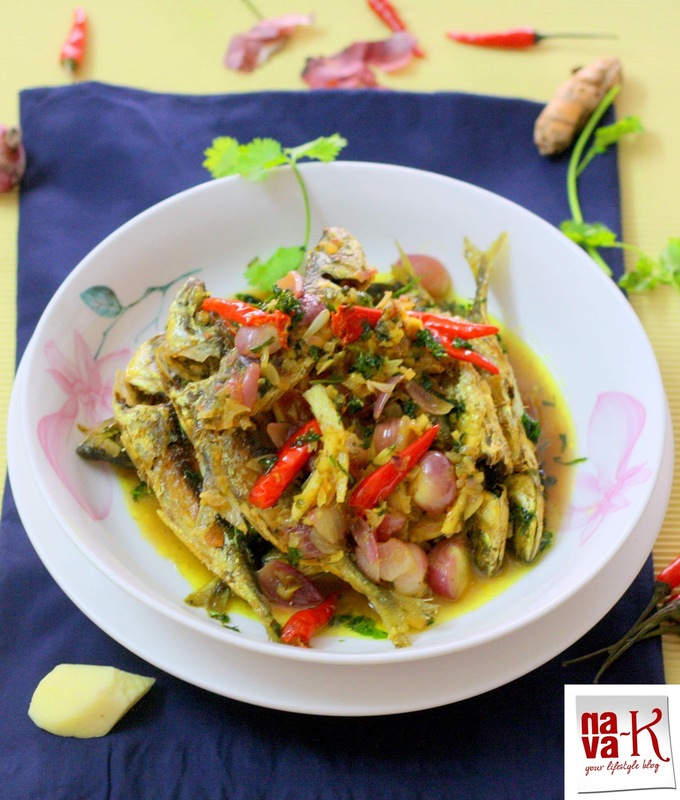 Your fish achar is simple to make but I know it packs a lot of punch. This will go so well with rice wine. *Drool* And I'm glad that despite your busy schedule food, photography and recipes have not taken a back seat. Oh, are those sardines? I thought they were ikan kuning! I've not tried cooking with sardines. Love to try! So far I know only Fish fry and Curry ! Fish Achar is quite new and Inviting too. I guess life today is all about strategies and networking. One has to work extra hard to stand out in the competition that exists around (something which I have been quite poor at due to lack of time). But you amaze me how you manage it despite a job. As always the dish looks fantastic, delicious and totally inviting.